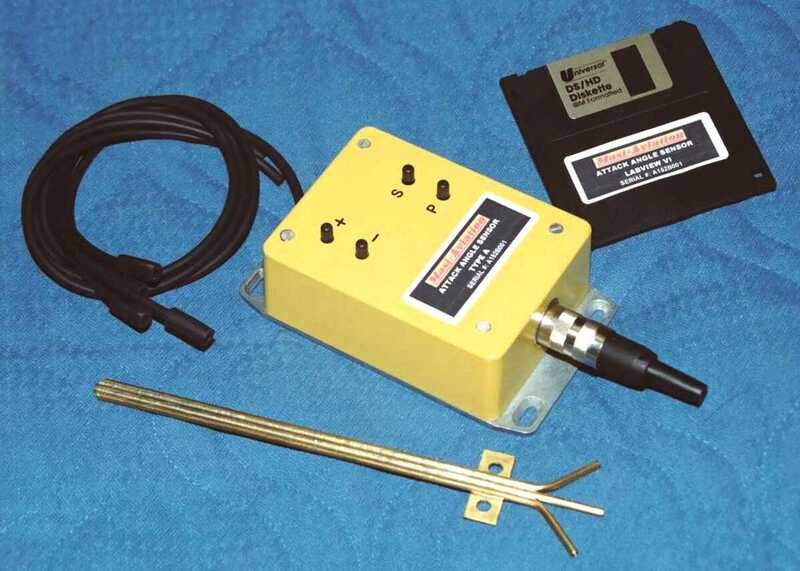 Masi Aviation Attack Angle Sensor Type A includes a stainless steel Type A Probe (brass prototype pictured above), matched transducer electronics packaged in an EMI-resistant enclosure, hook-up tubing and software. There is everything you need to integrate the sensor into your data acquisition system. Each integrated system is carefully fabricated to exacting specifications to ensure reliable, accurate attack angle measurements. The controller pod puts out analog voltages ranging from 1 to 6 volts, which the software (a LabVIEW VI running on your data acquisition host computer) interprets as attack angle and airspeed. To obtain corrected airspeed, you must provide measurements of local barometric pressure and temperature. Otherwise, the software assumes a standard atmosphere at sea level. 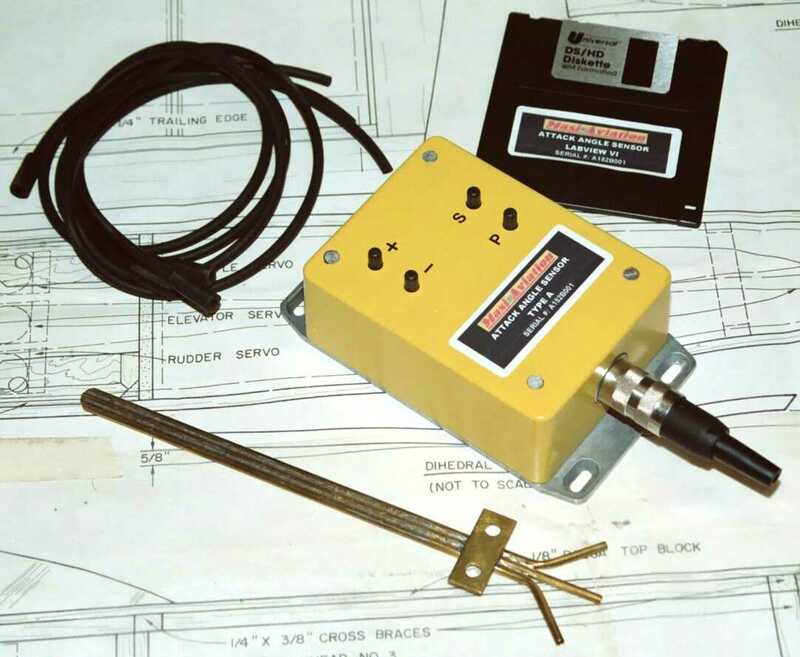 For more information or to purchase a Type A Attack Angle Sensor, contact Masi Aviation, LLC.